Whether you own personal property or you are running a business, utilizing cheap, portable buildings is a great solution for space and money concerns. These types of buildings are becoming much more popular because of their affordability and ease of construction. At Panel Built, we offer a variety of buildings and units you can use to add more space quickly and cheaply. Here are a few unique ways you can use pre-manufactured units. Personal Space: Building onto a home is expensive. However, getting the extra space you need can make your smaller home feel even larger. One creative idea is to find cheap pre built portable building offices available online and use them to create extra space in your yard. We offer various sizes of units that you can use to create the perfect man cave or she-shed. Choose from one of our guard shacks or smaller guardhouses for an easy installation. You can customize windows, exterior, flooring and doors. You can add shelving and your own personal touches to make the space perfect for your needs. Office space: Our portable offices are a great way to add that extra office space you need at home. Because we build our units in pieces, you can truly get the right space you need. Consider adding larger windows for a bright, comfortable office space. Choose just the right size for your needs and have a safe, comfortable place to retreat to when you really need to focus on work. Storage: Our barn kits and portable building panel kits are great options for creating extra storage space onsite. The simple, no frills options provides a sturdy, affordable place to keep your yard tools and other personal items safe from the elements. We build our units from excellent materials. The steel buildings are designed to protect your items from heat, water and other natural elements. The portable nature of these units make them a convenient option as well. Check out Panel Built when you need to find out where to find portable buildings online. We offer a variety of options you can customize to meet your needs. The benefits of portable building panel kits can hardly be overstated. Whether you are just beginning a business or you are a well-established company, these units provide financial benefits as well as portability and ease of use. Modular buildings and portable offices are a great way to maximize the space you already have without spending a lot of money. Financial benefits: The pre-built portable building office can save you a lot of money and time. Traditional remodels are expensive. From materials to labor, this type of construction can set you back thousands of dollars. Purchasing panel built kits online saves you money in several ways. First, we make many pieces from the same mold at the same time. This saves us money on manufacturing, which means we can charge you less. Second, your office space comes to you unassembled. We provide you with detailed instructions and ready-to-build units. If you erect the unit yourself, you do not have to pay for labor to have someone else install it. Timesaving benefits: One of the best benefits of purchasing the best portable building panel kits online is that you can save weeks or even months on construction time. With traditional buildings, you have to worry about weather, supplies and scheduling issues with construction crews. 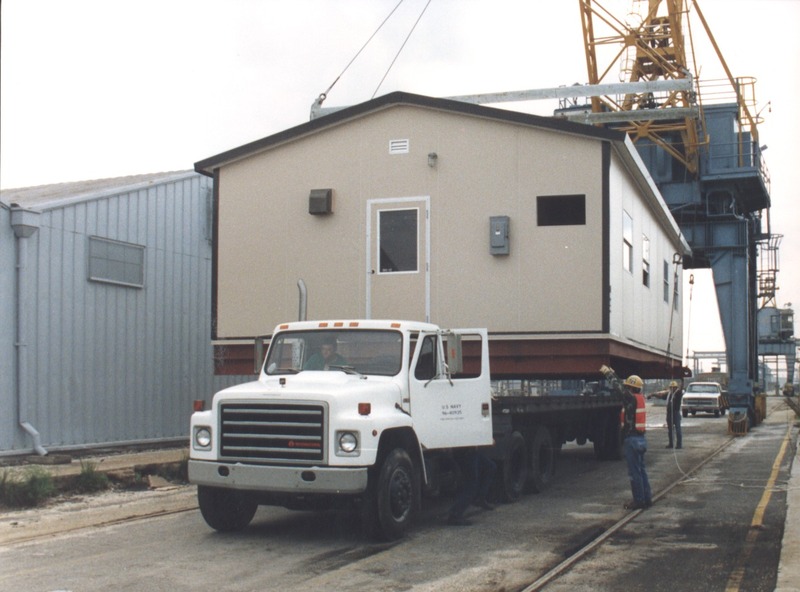 Ordering a prefabricated unit allows you to save a lot of time. We create the pieces for your portable offices and buildings inside our factories; this means weather is not a factor. Additionally, you will not have to wait for construction schedules to clear up before we get started on your unit. Environmental Benefits: Construction affects not only your business, but also everyone surrounding you (if you build an outside unit). You can significantly reduce the impact of construction on your immediate environment by allowing us to create your unit off site. A portable unit eliminates the need for endless construction workers, dust, debris and litter generally created on construction sites. Additionally, your staff will be able to work more efficiently with less impact on their working environment because most of the building will take place elsewhere. Your business will benefit from the undisturbed working environment. Portability/Convenience: When you decide that knowing where to buy cheap portable offices online will help your company, you not only benefit by saving money and time, you also get the convenience and portability that these units provide. Whether you opt for an office space or building, the units are portable. This means you can take them apart and move them if needed. This type of construction will continue saving you money as you can continue to use the space wherever you need it. Many industrial units have a lot more usable space than they think. Using our portable structures combined with mezzanines, we can help you take advantage of that space you already have. This will save you time and money. At Panel Built, we know how important it is to get the job done right. Our business is helping your home and business function more efficiently, with affordable structures that offer the right space for your needs. With years of experience under our belt, we can help you get what you need, when you need it. Call us today to find out more about how our portable structures can help save you money.